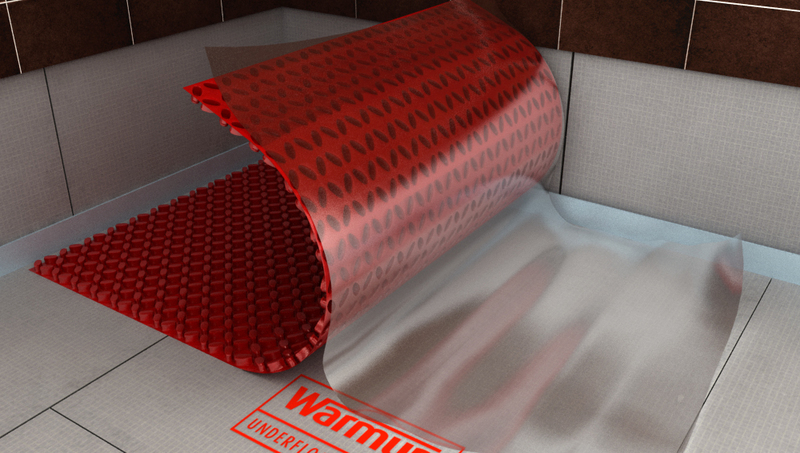 Warmup has announced the peel-and-stick version of its DCM-PRO Membrane floor heating system. The TCNA-tested membrane is the first of its kind and adheres directly onto plywood and concrete subfloors without the use of thinset. It has been successfully tested to ANSI 118.12 anti-fracture standards and the Robinson test (ASTM C-627). Combined with the DCM-PRO cable, it is the only UL-approved membrane system on the market today, the company says. The polyethylene adhesive will bond to subfloors with 140 lb of torque/sq ft leading to 40 percent savings in time and materials, it adds. Simply cut the membrane to size, peel back the protective film, press the membrane directly onto the subfloor, and fit the cable in, the company says. 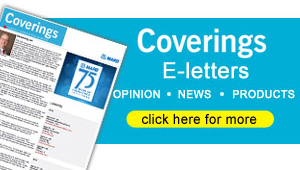 Hi Kaireen – Short answer: Yes. Long answer: The Warmup thermostats have to be wired by a Certified Electrician. If you’ve hired a Licensed Electrical Contractor to do the work, they’re required to take out a permit, and they’ll also take care of the inspection process for you as well as calculate permit fees (see who is permitted to do electrical work in your home). Electrical permits are not the same as a building permit. If you have a building permit, it doesn’t mean you have an electrical permit. Hope it helps!